Yes, spring is coming, birds are chirping, flowers are blooming, the sun is shining, and all these sneezings, wheezing and coughing, along this nice time. Some people see the pretty flowers on the trees, other just try to be away because of their pollens. Unfortunately, recent years the percentage of people with allergies has increased with more than 15% because of the pollution and all other factors. Many of us know the awful allergy symptoms which could wear the body down with frequent episodes of headaches, itching, runny nose, red eyes, asthma attacks, etc. The key to skipping these unpleasant moments for the body is our ability to manage this temporary condition without medications. And the most important factors are unmanaged stress, immune system activity and limiting the production of histamines which limits the allergy symptoms. Know the highest counts of pollens is between 10 am and 4 pm because this is the time when plants are more active of their production and it is not recommended to stay out for longer. Take a scarf with you, if it is necessary to go out at the peak moments of pollens separation. 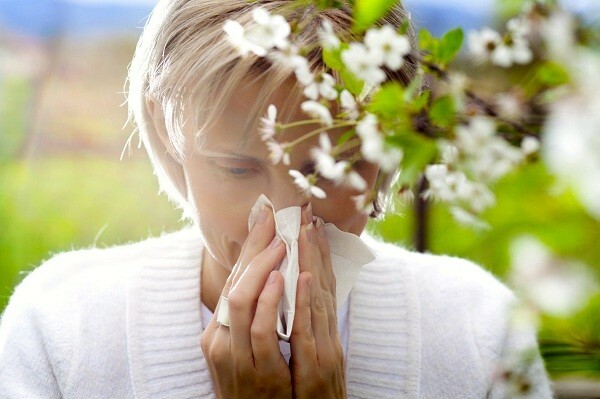 In this way, you can cover your nose and mouth so to prevent pollen breathing. Minimize the consumption of some food that can provoke the allergy reactions of the body. These are peanuts, soy products, shellfish, white sugar, caffeine, alcohol, cigarettes. etc. Instead of them, eat more food with natural antihistamine properties, which are onion, garlic, probiotics, apples, etc. Also, add to your daily menu one-two spoons of bee pollen and local organic honey, which contains small amounts of pollens. Drink hot lemon water in the morning and use some herbs against allergy symptoms to prepare your tea, which are nettle leaf, pepper mint, rose hip or rooibos. Prepare your natural nasal drops with a pinch of sea salt and 25ml. water in a small glass bottle. Then infuse the solution with a pipette two-three times per day, to cleanse the nostrils. Every time before going out, grease your nostrils with plant oils. Put a drop of corn or olive oil on your little finger and spread well inside of the nose, so to make a protective film. Some positive affirmations can help the mind to release from the thoughts about the allergy symptoms. For example - "Every day, I feel better and relieve the allergy symptoms" or "My body already overcome the allergy", "I can breathe freely in spite of the pollens in the air". Repeat them every day, when you go to sleep or after awakening in the morning. Hopefully, you are prepared and can manage this condition, and be truly happy with spring coming this year.